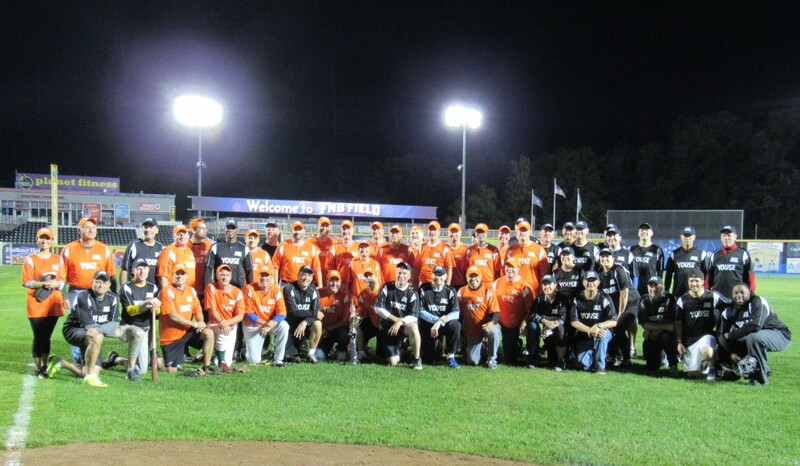 On Monday, September 24th, the 3rd Annual Capitol All-Stars Softball Game was held at FNB Field on Harrisburg’s City Island. Despite the rain, all participants had a great night and played like pros. The Yins team won against the Youse 10-8. We hope to have another great game in 2019! Out of the 1.6 million people that are experiencing hunger in Pennsylvania, almost half a million of them are children. With these staggering statistics it is vital that members of the community work together to combat childhood hunger. 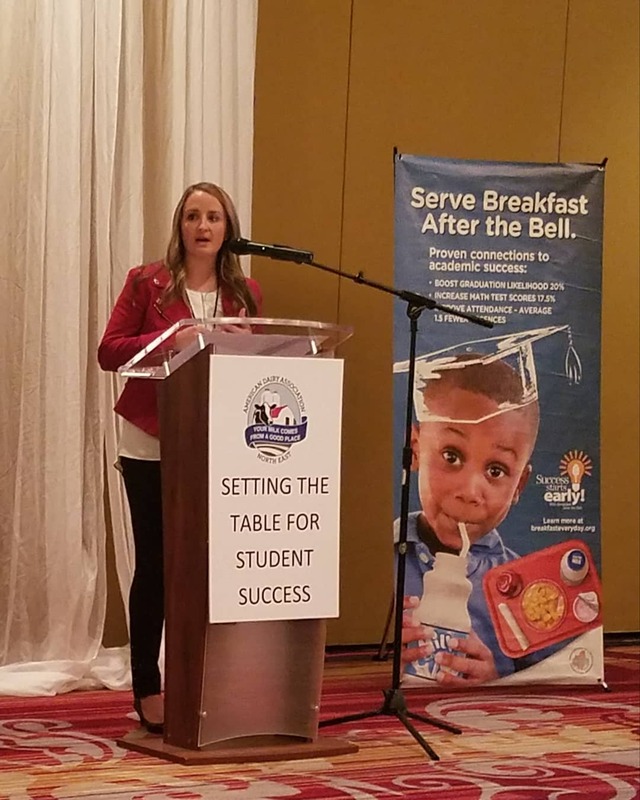 On October 15, Executive Director, Jane Clements-Smith attended the Setting the Table for Student Success Forum in Reading, PA. 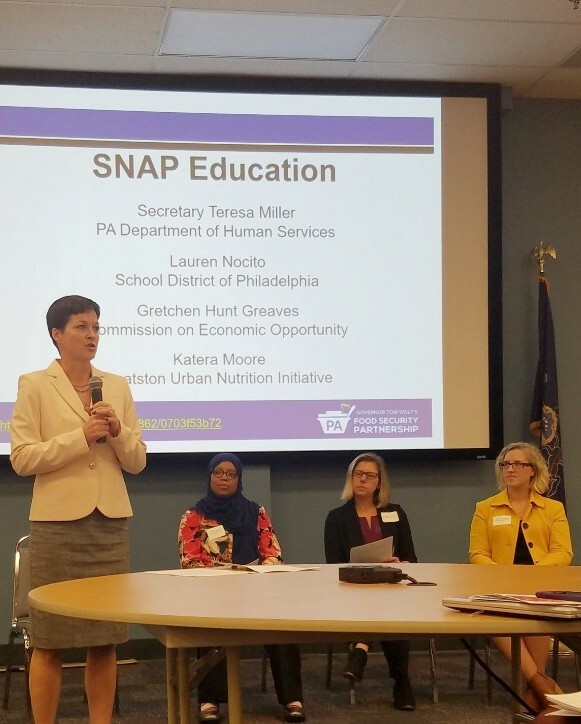 This forum was comprised of 19 school district representatives including food services directors, teachers, and superintendents that are working within their communities to implement stronger meal programs within their schools. 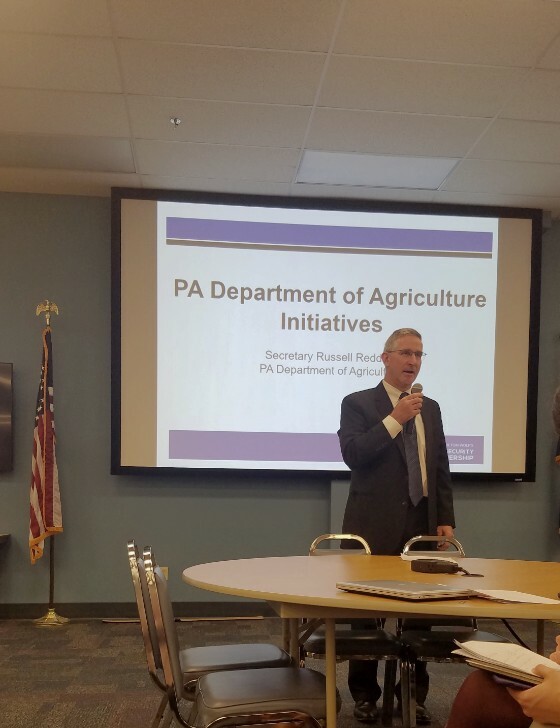 Feeding Pennsylvania attended Governor Tom Wolf’s Food Security Partnership meeting to go over the state wide efforts to fight hunger. Among the many anti-hunger advocates were state officials such as Deputy Secretary Richard Vilello of the PA Department of Community and Economic Development, Deputy Secretary Dr. Loren Robinson of the Department of Health, Secretary Teresa Miller of the PA Department of Human Services, and Secretary Russel Redding of the PA Department of Agriculture. Some topics covered were SNAP Education, School Breakfast initiatives, Produce Markets in food deserts, and the passing of House Bill 645 which benefits the Neighborhood Assistance Program. 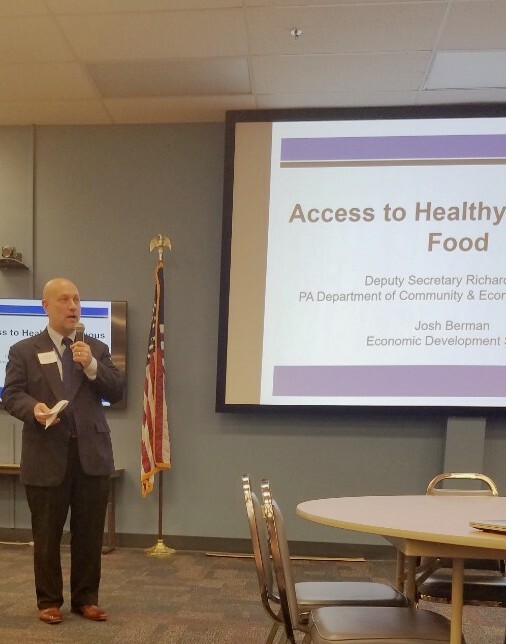 At the Food Security Partnership meeting, Dr. Robinson introduced a program that Feeding Pennsylvania and the PA Department of Health are partnering on called the Healthy Pantry Initiative. Through this initiative, we plan to work with food pantries to give them more incentive to increase their distribution of healthy and nutritious food and beverages. To encourage a healthier lifestyle for the clients that they serve, the food pantries will provide cooking classes, informational sessions, and diabetes prevention and awareness. 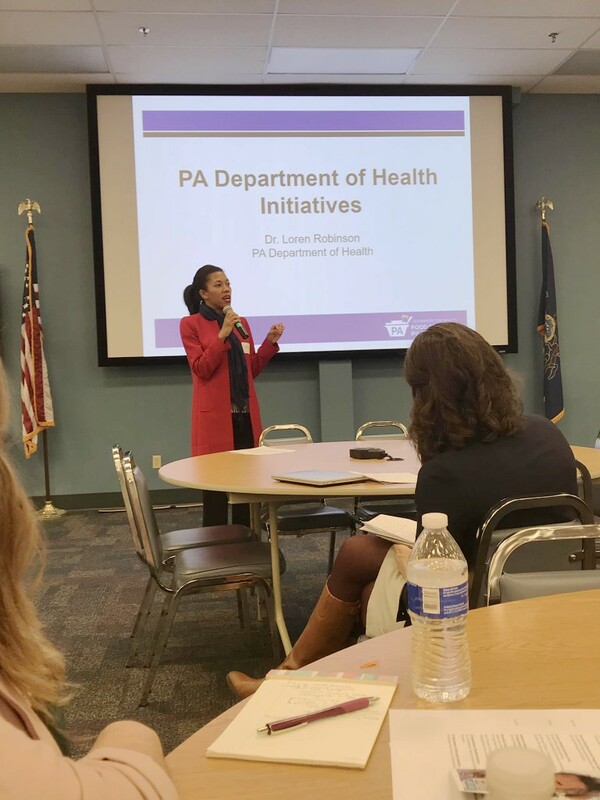 Through the Healthy Pantry Initiative we are combating obesity, diabetes, and other diet related illnesses by educating our constituents and helping them to form lifelong healthy habits. On Wednesday, October 24th Governor Wolf signed HB645 into law. This is a huge success for the Neighborhood Assistance Program with is a tax credit program that will encourage businesses to invest in locally based revitalization organizations serving low income neighborhoods. This initiative has enabled the private sector to donate millions of dollars to community organizations while substantially reducing their tax burden. NAP was originally funded for up to $18 million but can now be funded up to $36 million with the passing of HB645. Within the Neighborhood Assistance Program is the Charitable Food Program (CFP), which is designed to help regional food banks or emergency food providers. Funding to CFP is supplied through tax credits given to businesses making contributions to an approved provider. The CFP has served to emphasize the essential links between business investment, hunger relief, and community development in our neighborhoods. As a member of the NAP Coalition, we are working with businesses and organizations throughout the state to ensure that the newly approved tax credits are benefiting our communities and neighborhoods in need. On Friday October 2, Feeding Pennsylvania attended the open house event for MidAtlantic Farm Credit to celebrate the opening of their new office building in Mt. 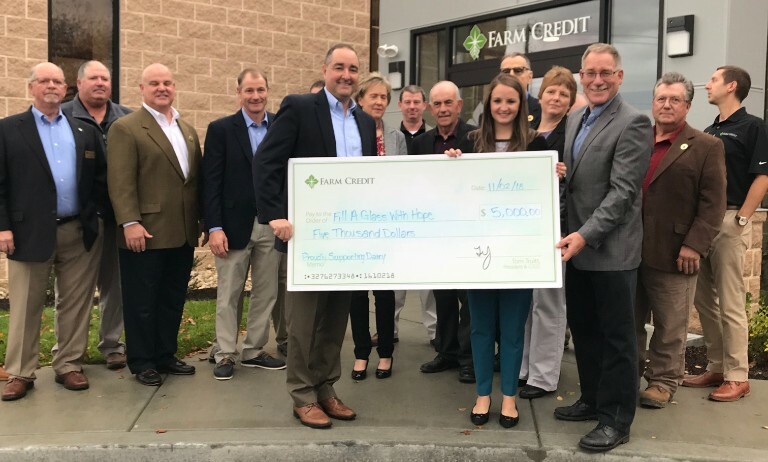 Joy, PA. We were presented a check for $5,000 to go towards the Fill a Glass with Hope®, the nation’s first statewide charitable fresh milk program. Accompanying us to this event was the PA Dairymen’s Association and their famous milkshakes, which the MidAtlantic Farm Credit was offering to their employees for an optional donation to our program. MidAtlantic Farm Credit is one of the largest agriculture leaders on the East Coast with over 11,000 members throughout Delaware, Maryland, Pennsylvania, Virginia, and West Virginia.